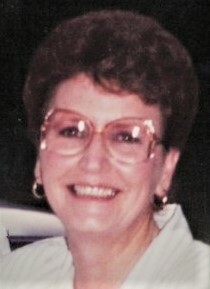 Charlotte Ann Slape, 75, of Muskogee, Oklahoma passed away on Monday, April 1, 2019. She was born on July 31, 1943 to Ernest Howard Featherston and Flossie (Ervin) Featherston in Muskogee, Oklahoma. Charlotte was a High School Graduate. She was happily married to her husband, Wayne Slape, for 30 years. Charlotte worked as a secretary at ACME for over 30 years. She loved her job and all of her coworkers. She loved going fishing with her family and taking car rides. Charlotte loved her family very much and loved taking care of them. She will be missed by everyone who knew and loved her. Charlotte was preceded in death by her parents, Ernest and Flossie Featherston; son, Jerry Davis; sister, Connie Gorton. She is survived by her husband, Wayne Slape of the home; daughters, Shari Lewis and husband Jack of Muskogee, OK, and Shelli Jiles and husband Michael of Hulbert, OK; grandchildren, Courtney Lewis, Kayleigh Webb and husband Jesse, Jack Lewis and wife Ciara all of Muskogee, OK, Trevor Jiles and Allie Jiles of Hulbert, OK, Wade Davis and wife Nicole of Tampa Bay, FL, and Brant Davis of Norfolk, VA; great-grandchildren, Nathan, Kevin and Garrett Webb of Muskogee, OK, Addyson and Hunter Lewis of Muskogee, OK, and Aubree Davis of Tampa Bay, FL; sister, Edie Climer; and many nieces and nephews. A celebration of Charlotte’s life will be 2PM, Friday, April 5, 2019 at Greenhill Cemetery with Rev. Kelly Payne officiating. Visitation: 9:00am-5:30pm Wednesday, April 3, 2019 and 9:00am-8:00pm Thursday, April 4, 2019. Service will be 2PM, Friday April 5, 2019 at Greenhill Cemetery in Muskogee.